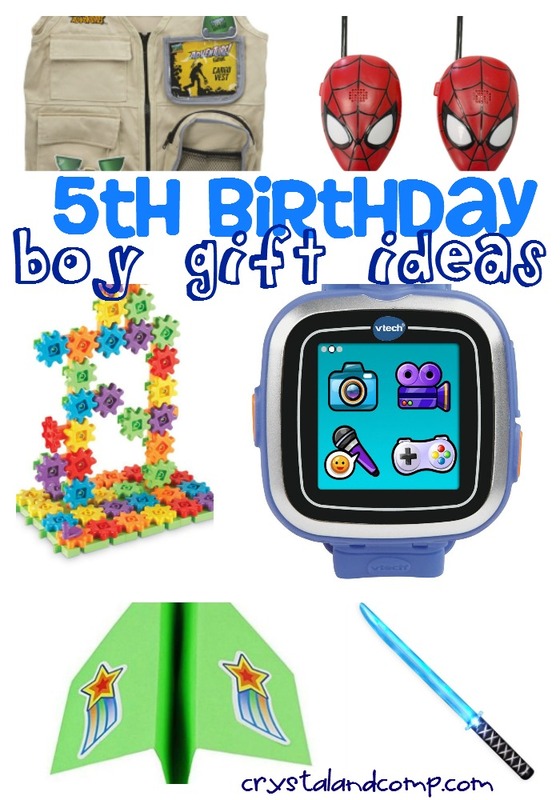 If you are preparing for an upcoming boy birthday this list of 25 Totally Boy 5th Birthday Gifts Ideas is perfect! Regardless of the age and who you are buying for it can always be a daunting task. I know that I struggle trying to accommodate even my own kids and I see them everyday and know what they like! Do you have the same struggles? Boys birthdays are so much fun! The gifts are what they look forward to. The 5th birthday is really a special time for any kiddo. It is like a milestone of all kinds of new beginnings. Whether it is school or tying their shoe the 5th birthday is certainly special. Just check out these gift ideas! 1. What little boy would not love their very own Ninja Sword that lights up and makes animated sounds? 2. My boys have been wanting this Pie Face Game since it was first advertised and it makes for great family fun! 3. These Galaxy Bump n’ Chunk Bumper Cars are super cool and great for the smaller crowd. 4. They can build to their little hearts desire with this Learning Resources Gears Gears Gears activity set. 5. With this Magic Science Kit your little guy can put on his own show! 6. Your little boy can fight crime and be a hero with this Avengers Longshot Bow that has foam darts. 7. These Marvel Spiderman Walkie Talkies are so much fun for boys in their adventures. 8. They can create the ultimate Paper Airplanes with this handy kit. 9. This fun Pogo Jumper is similar to a traditional pogo stick but great for any 5 year old. 10. If you have one that is afraid of the dark this Moon in My Room is amazing! 11. Get your birthday boy this VTech Kidizoom Watch that has so many activities and lots of interactive fun! 12. The backyard will be an adventure with this Backyard Geosafari Vest that comes with some handy tools too. 13. This 30th Anniversary of Rock’em Sock’em is a classic toy for any boy. 14. How cool is this Catapult that is some great educational fun for everyone including the birthday boy. 15. This Animal Magnetic Wooden Puzzle Set comes with tons of magnets for creating and learning and a blackboard for drawing. 16. You can really inspire some creativity with this Paint Your Own Birdhouse Kit and then hang it in the yard. 17. Your big 5 year old will be cruisin’ with this super cool Razor A Kick Scooter. 18. Arts and crafts will be so much more fun with this 80 Piece Art Set that comes with everything they need in one case. 19. Check out this Punching Bag and Glove Set that will have your 5 year old building muscles while having fun. 20. This Robot Toy has some super cool flashing lights and sounds and makes a great gift too! 21. Anything Lego is always a hit for my boys but this Lego City Ice Crawler is super cool. 22. Or check out this Minecraft Cave Lego Set for some awesome building fun. 23. Your boy will love this Voice Changer that allows them to be super silly with their voice. 24. This Kids Camouflage Combat Vest is perfect for those afternoons of creative play in the backyard! 25. This Matchbox Wrecky the Wrecking Buddy is a ton of demolition fun for a 5 year old! Do you have an awesome gift idea for a 5 year old boy? Share your ideas!